A group of foreign students in an art class in Munich. Years later, two of them find fame in Taos, New Mexico. 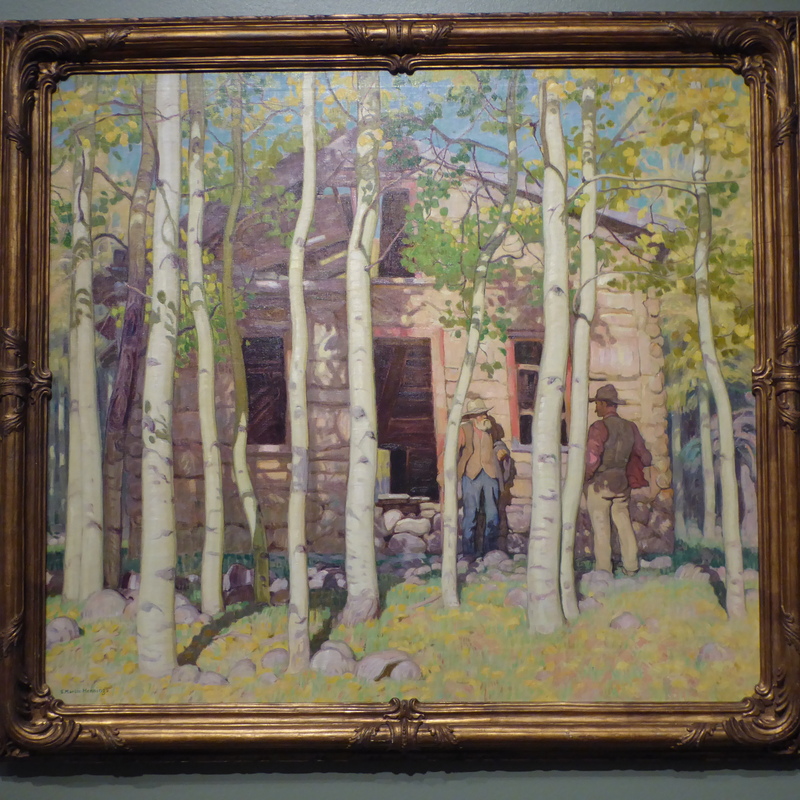 Walter Ufer and E. Martin Hennings developed their own styles in Taos. Ufer found fame first. As his popularity fades, Hennings’ rises. 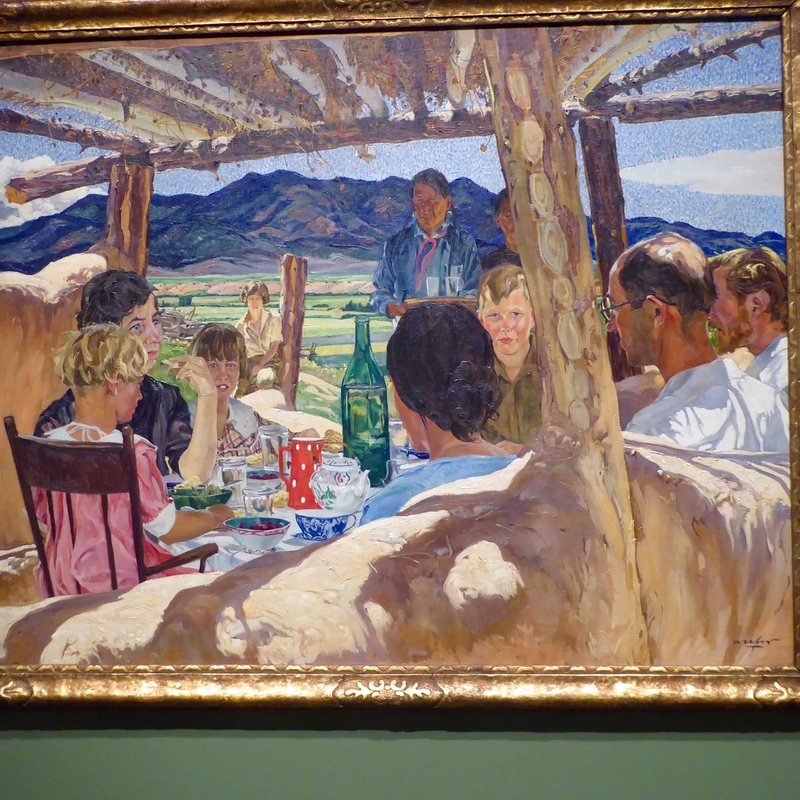 The Denver Art Museum exhibit, A Place in the Sun, displays paintings by Ufer and Hennings and it is worth seeing. 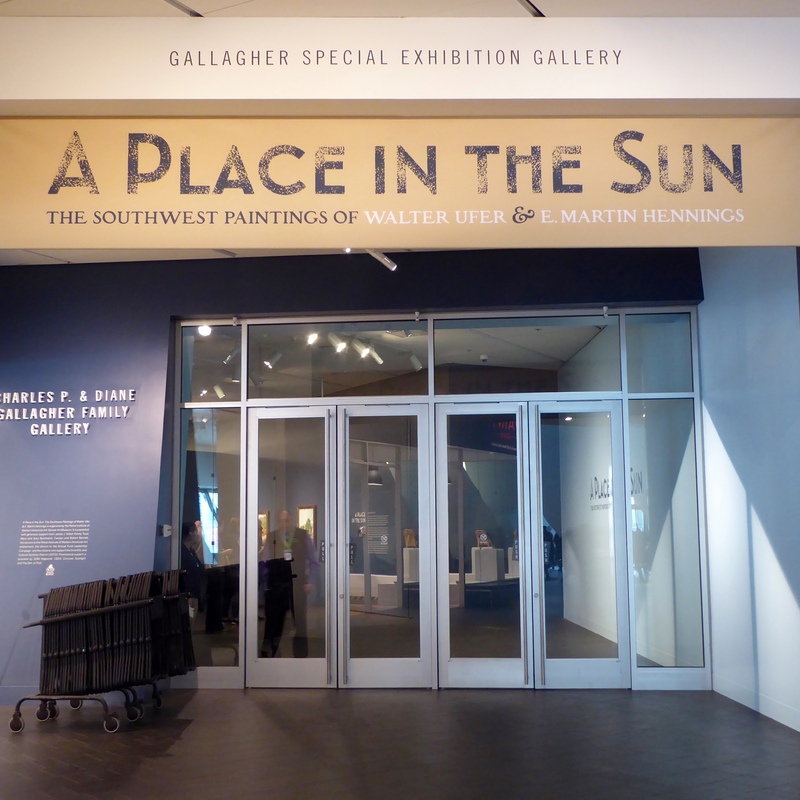 This exhibit will be available until April 24, 2016. I, Zeb the Duck, have been here twice and it is great. 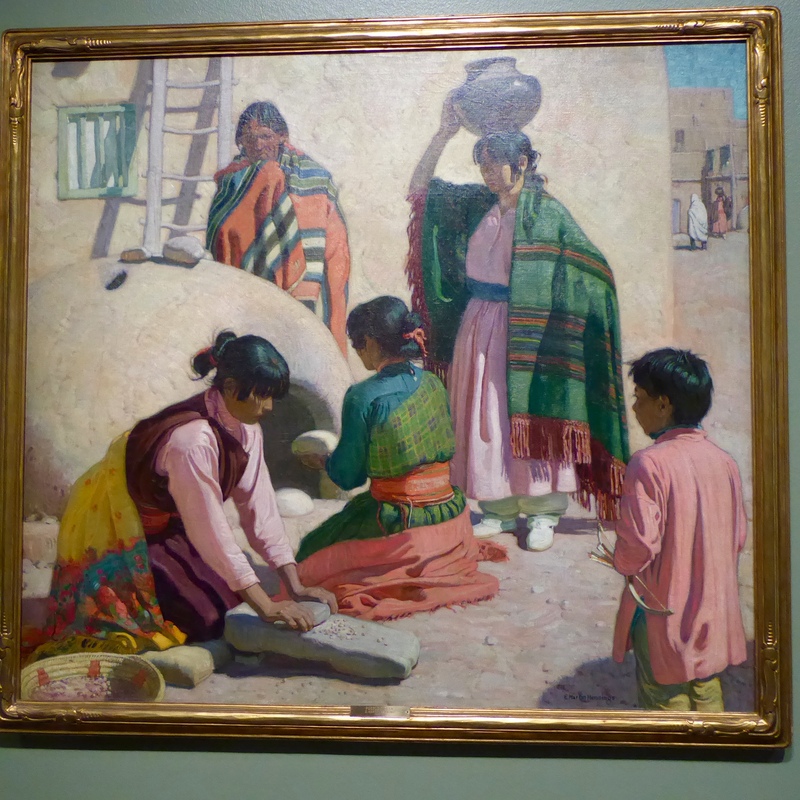 This is one of my favorites by Walter Ufer. Ufer named it Plaza de Taos. This is an oil on canvass painted in 1916 0r 1917. 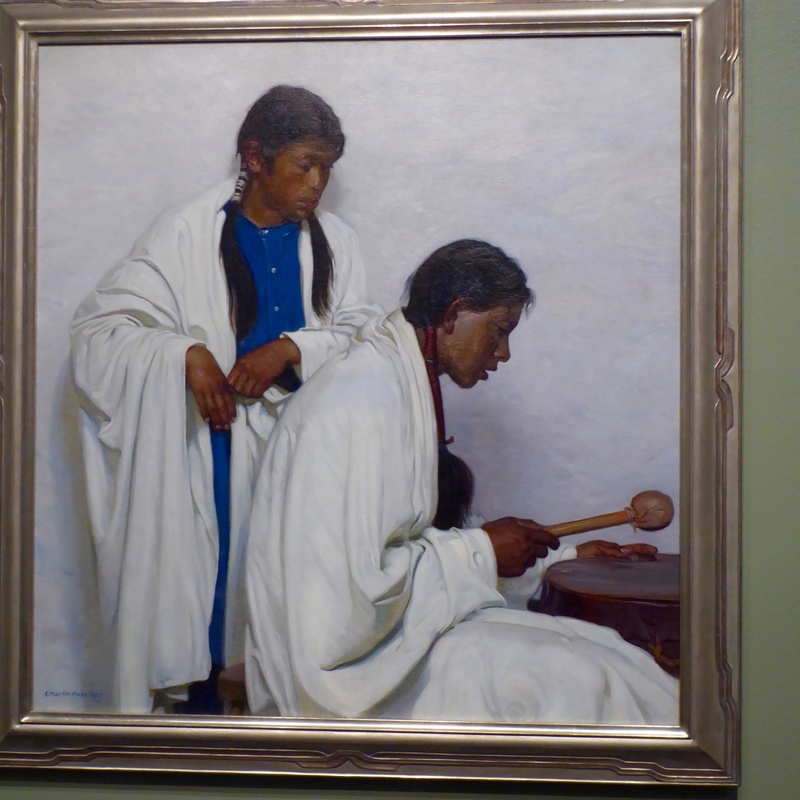 Also a Taos painting, this is from E. Martin Hennings, Taos Indian Chanters with Drum. This oil on canvass was completed in 1935. 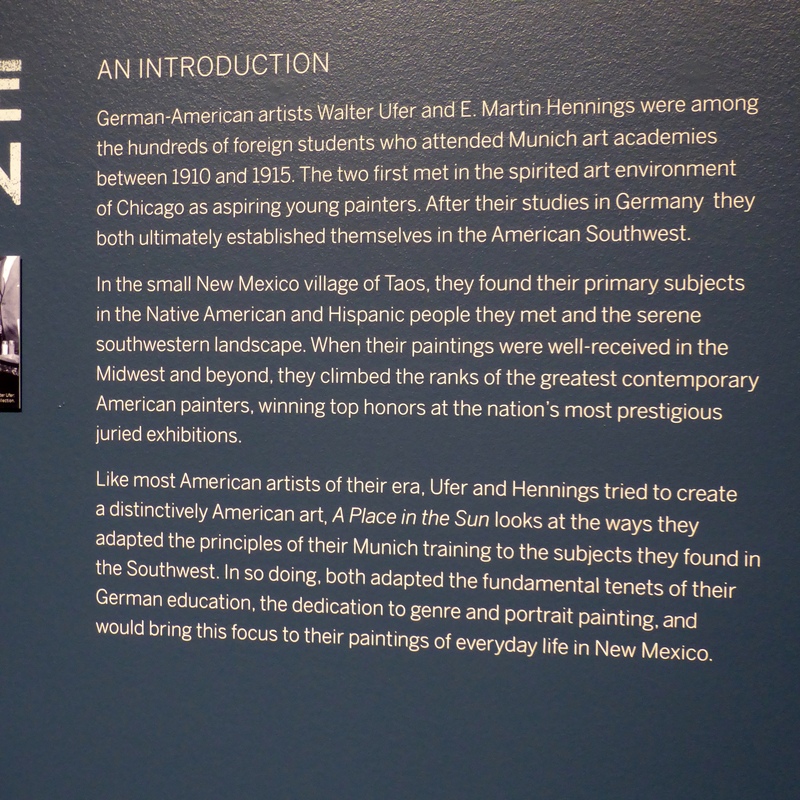 As an introduction, a sign in the exhibit, explains a little about the artists. All of the paintings we show you are oil on canvass paintings. 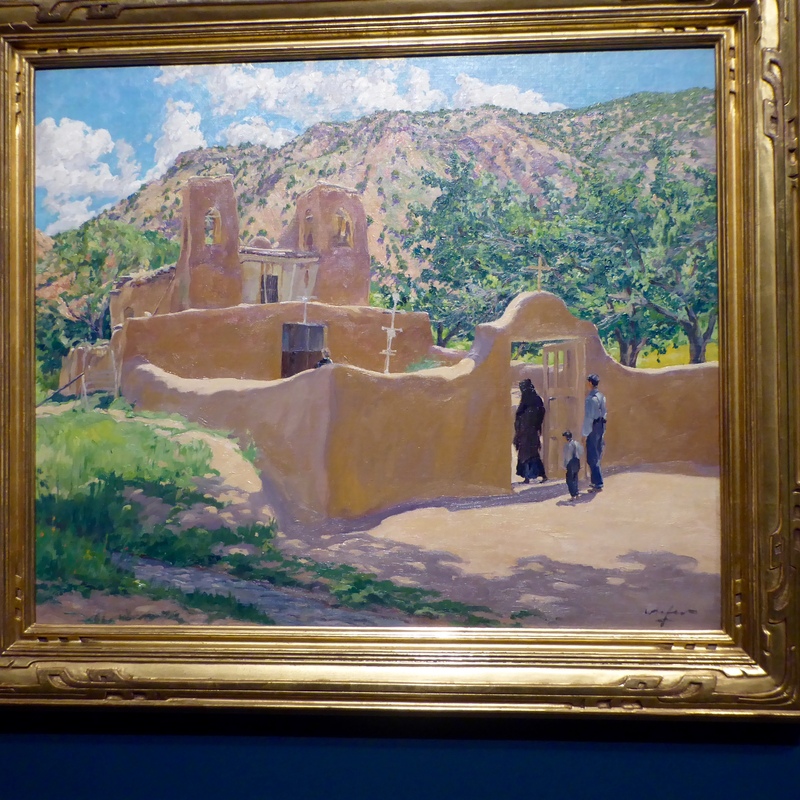 Now let’s admire a few of Walter Ufer’s paintings. Here is Oferta in Chimayó, New Mexico. This was completed in 1916. Making Ready is another of our favorites. Ufer completed Making Ready in 1917. Of course, Fiddler of Taos, from 1921, must also be included. Luncheon at Lone Locust, 1923, also held our attention. 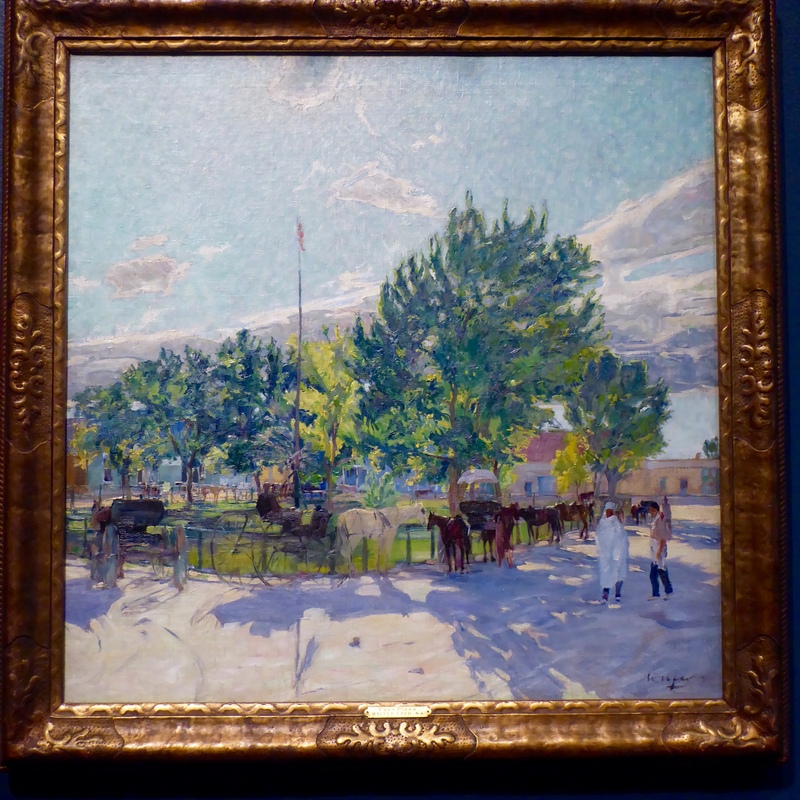 As Ufer’s popularity began to fade, he completed this painting in 1935, which was well received by the public. Bob Abbott and His Assistant was an artistic success. 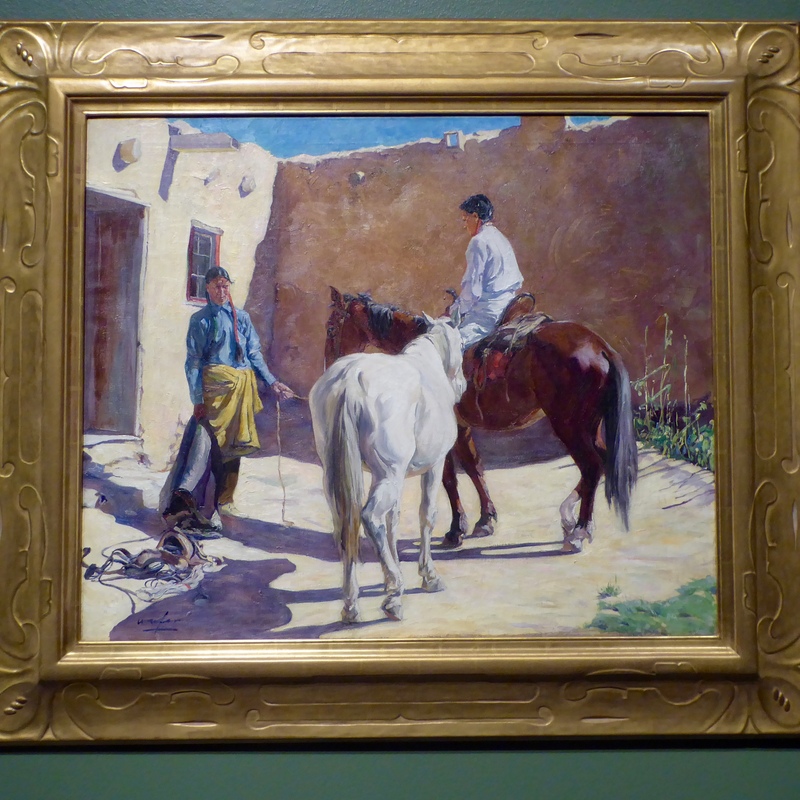 Several additional paintings by E. Martin Hennings are also displayed. 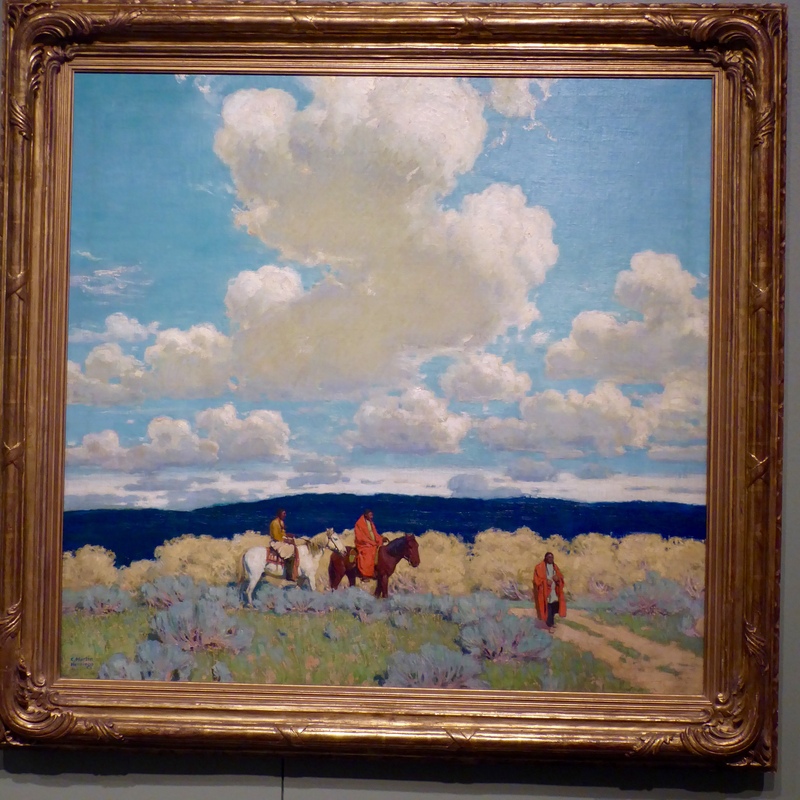 Beneath Clouded Skies, 1922, is a favorite. 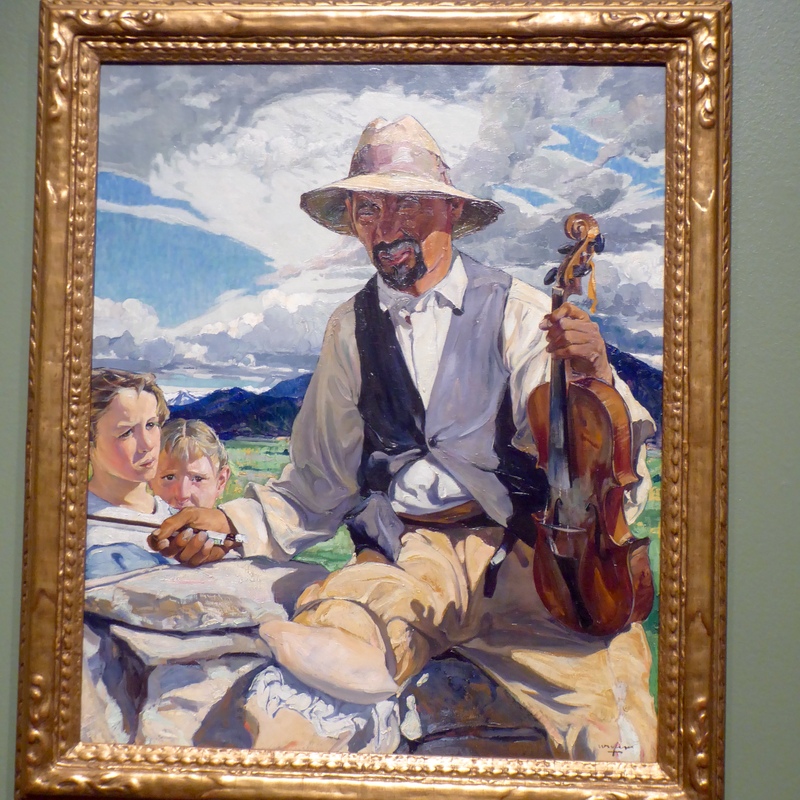 Mom has always been fascinated by twins, so she really liked this painting from 1923. Isn’t The Prospectors Cabin great? Seems like we could walk through the trees to the cabin now. And a Goat Herder. Painted in 1925-1927. We love it. 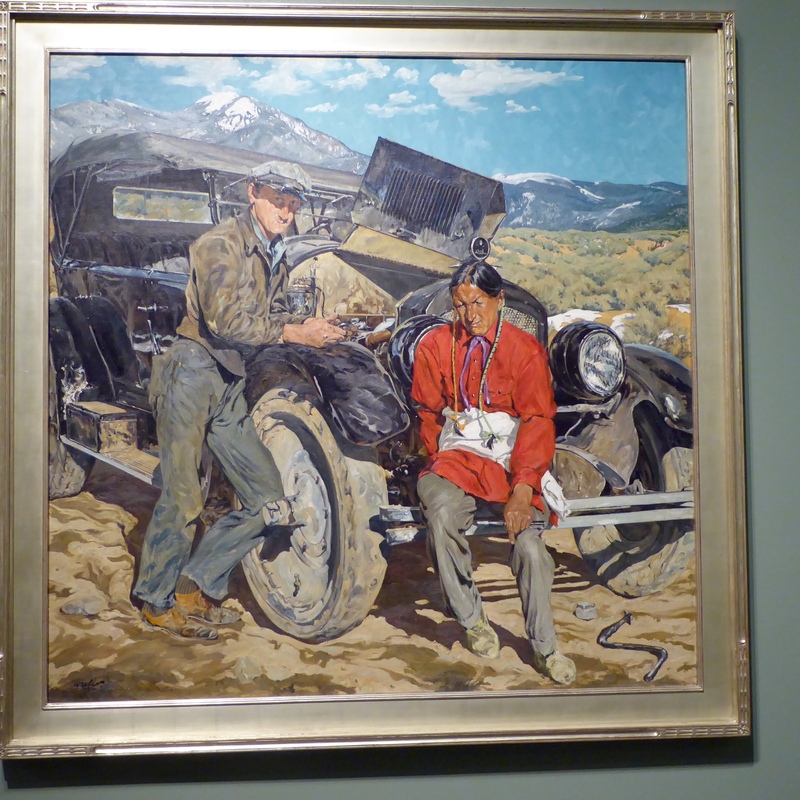 Hennings’ Pueblo Indians, 1923, seem alive and right here with us. Remember these two young men studied together in Munich, and apparently traveled a little. 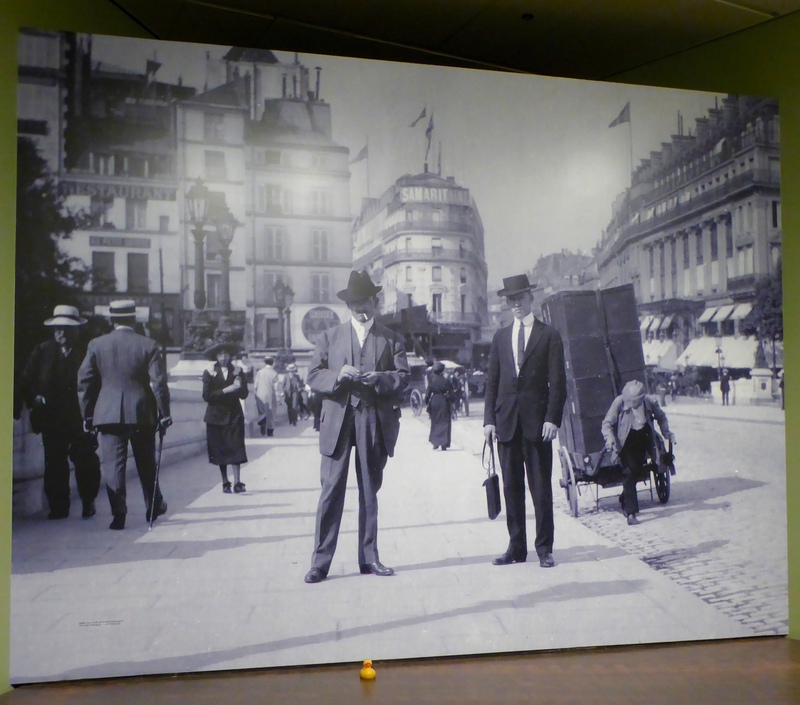 This is Ufer and Hennings in Paris in 1913. Ufer on the left and Hennings on the right in Paris, 1913. Smoking used to be a sign of sophistication. I, Zeb the Duck, am in the picture also. I just did not get to Paris. We love having the Denver Art Museum bring special exhibits to us. You would enjoy this exhibit and it is included in your general admission. 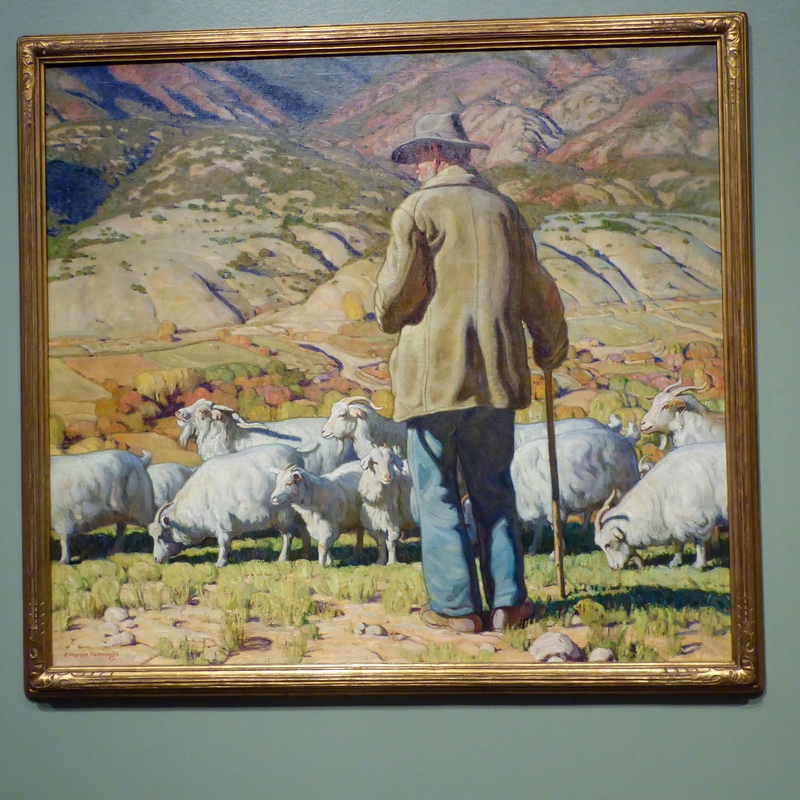 Visit the Denver Art Museum soon. It has so much to see. 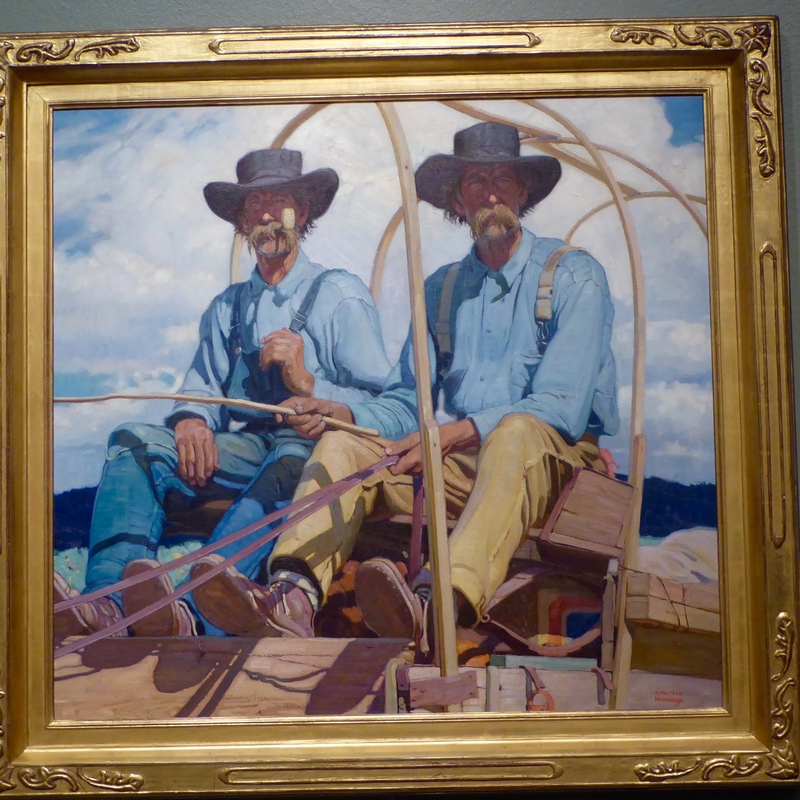 This entry was posted in Colorado, Uncategorized and tagged A Place in the Sun, Colorado, Colorado Traveling Ducks, Denver, Denver Art Museum, E. Martin Hennings, Walter Ufer. Bookmark the permalink.